Anyhow we have a difference in thinking and that's okay as well. Careful with your comparisons to Morning Musume. They may not be anything close to what they used to be, but remember that most of the songs for MM were written by one person, Tsunke (so no need for collaborators to contribute different music genres), and they still manage to have some fairly diverse stuff in their catalogue. Off the top of my head you have The Peace where they all dance around toilets, Mr. Moonlight which is a nice jazz song with the main singers cross-dressing for the whole MV, and even "日本はどんな感じでっか" later which is more of a rocky song. Plus everything else in between...and this was all started back in the 90's when the expectations of what idols were was WAAAAY more strict than the scene from which momoclo emerged. I'm not taking anything away from momoclos achievements, but there's a reason beyond "flogging a dead horse" that MM are still around to this day. I also loved the song and the MV, looks like all the 5 singles will have MV and that makes me thing that this 5TH Album will be a Visual Album, I hope so. Don’t even know what a visual album is. Plus, while the song is really good, do we really count it as an MCZ song considering it’s really a cover version of an already made song? It’s really just a difference in what voices you like to hear. It’s no different when they did Moonlight Densetsu, Moon revenge, and Cha la Head cha la. Cool that they did it (and are rather nice renditions), but I wouldn’t count them as an MCZ song. Visual album means that every song in the album has it's own Music Video, so basically one CD has all the songs and the other all the music videos. and yes you're right in one part, it isn't an original MCZ song but as Flowercreek said more back: "It can be consider and special cover case like "Rock the boat" because they maintained the base of the song but the lyrics were re-made to fit more with the girls". I like the covers, I just don't view them as a MCZ song, but rather a fun cover of an already made song. Speaking of covers, turns out the artist who made the cover art for the single is Kazuo Umezu, a horror manga artist. He also features in the beginning of the music video as a portrait of the school principal. 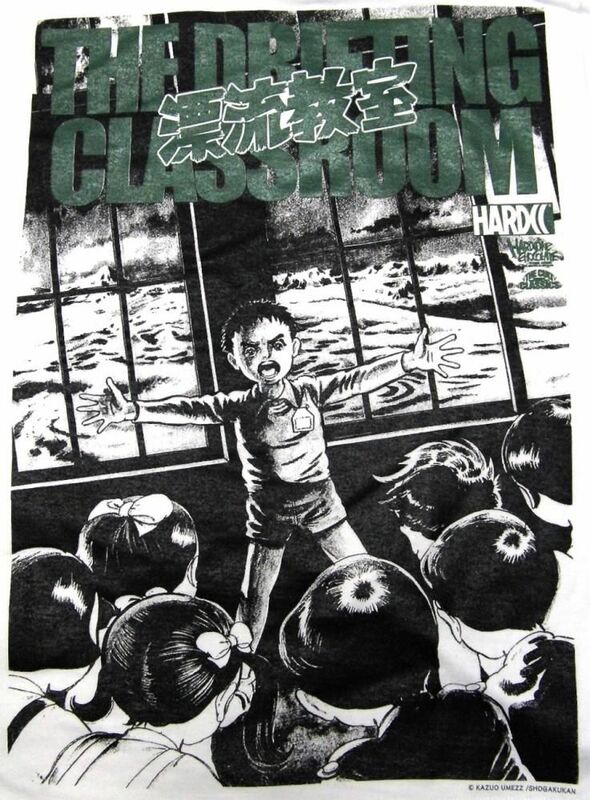 Here's one of his classics, The Drifting Classroom. See if you can spot the similarities! I think everyone knows what MM305 means. There's absolutely no need to get offensive here. Sorry. Not sure which of my posts offended you. I removed all of them, just to be safe. It's not like I'm mad that they did this, or think folks shouldn't like it.